Combine great music presented in a fresh simple way and you have a winner! Piedmont Bluz delivers all 10 songs with such feeling. Very enjoyable for any country blue aficionado. 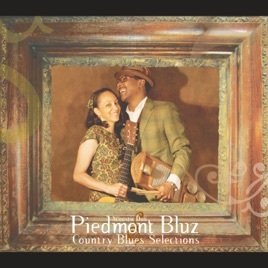 Piedmont BLUZ - Country Blues Selections. This is a loving compilation of beloved Blues songs by some of the greats played and sung with charming grace. This couple has the restraint to present fresh renditions of these songs with the integrity and heart and technique to reach a new generation. It’s not flashy, it’s real American music built to LAST~!! !